Part of the sixth generation of production of the Legacy midsize sedan, the 2019 model year is presented with just enough changes to keep it competitive in a stuffed segment. 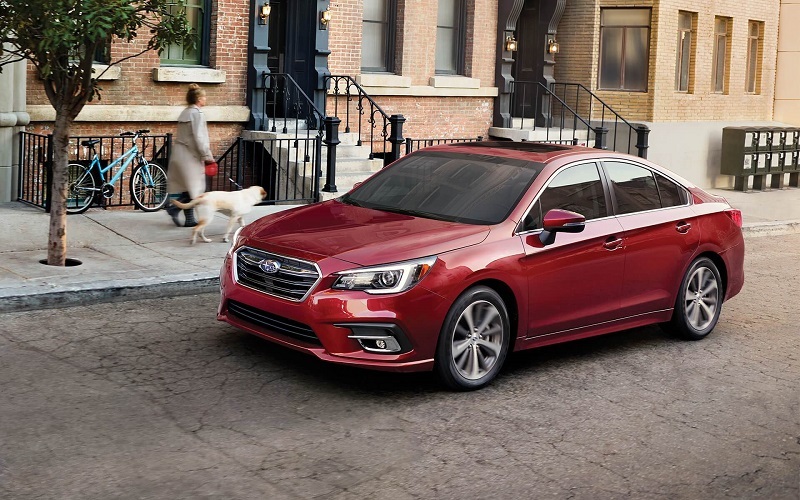 The Legacy still bears the distinction of being the only midsize sedan with standard all-wheel drive, and it is available in four trim levels: the base-level model, Premium, Sport, and Limited. Each 2019 Subaru Legacy trim configuration bears one of the two following prefixes: 2.5i and 3.6R, which correspond to the size of their engines. The new Legacy starts off with exterior features such as projector-beam halogen headlights, folding side mirrors, and 17-inch steel wheels with covers. On the Premium, turn-signal indicators are added on the side mirrors, the exhaust outlet is made of stainless steel, and 17-inch machine-finished aluminum wheels replace the steel ones. Subaru adds LED fog lights on the Sport for long-lasting and penetrating illumination, a power moonroof for letting in refreshing light and air, and the wheels are upgraded to dark-gray 18-inch machine-finished aluminum wheels. Notably, the Sport is the only trim with a chrome-trimmed trunk-installed rocker spoiler. Not to be outdone, the Limited stands alone with black 18-inch machined-finished aluminum wheels, and its 3.6R version gets dual stainless-steel exhaust tips. 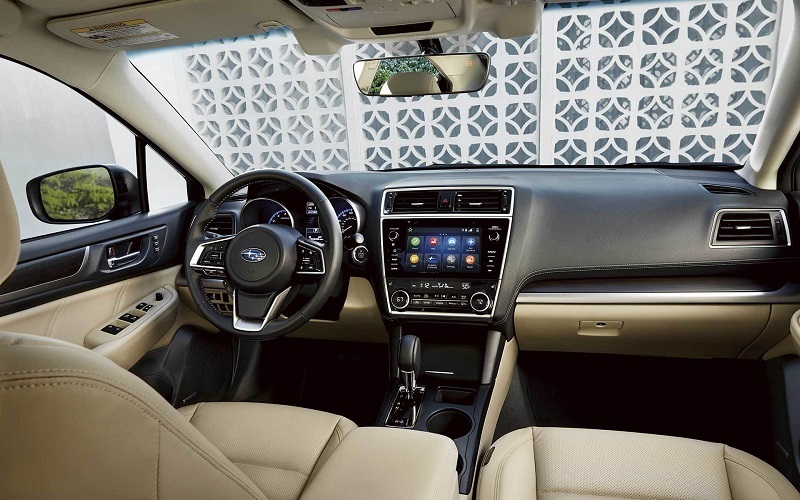 The 2019 Subaru Legacy is designed as a two-row vehicle for up to five occupants. Passenger volume is measured at 104.6 cubic feet on the base-level and Premium trims; that amount of space shrinks to 100.9 cubic feet on the Sport and Limited due to the addition of a power moonroof. Trunk space is measured at 15 cubic feet, with the option of folding flat the rear bench-style seats. For a 10-way power adjustable driver's seat with power lumbar support, a 4-way power adjustable front passenger seat, and front-seat heating ability, go with at least the Premium. Two-way position memory for the driver's seat, leather seat trim, and rear-seat heating are exclusive to the Limited. For amenities, you will start off with features such as electronic cruise control, transmission paddle shifters, an overhead storage compartment, and four-speaker audio, Android Auto™ and Apple CarPlay™ for smartphone integration, SiriusXM® satellite radio service, AM/FM radio, a single-disc CD player, Bluetooth® wireless technology, a USB port and an audio jack for playing media from mobile devices, and STARLINK™ infotainment integration. This is in addition to a 6.5-inch multimedia touchscreen that is made standard for 2019. 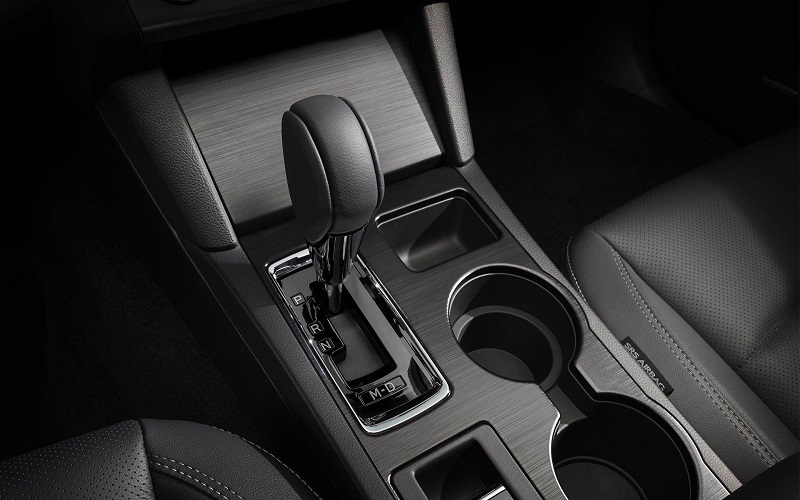 On the Premium, Subaru adds dual front and rear USB ports for charging mobile devices, dual-zone automatic climate control, auto-dimming on the rearview mirror, a garage-door opener, two additional speakers, and an 8-inch touchscreen (in place of the 6.5-inch). The Sport and Limited get keyless access with push-button engine start. And exclusive to the Limited is a 12-speaker 576-watt Harman Kardon premium stereo system that includes a GreenEdge® amplifier. 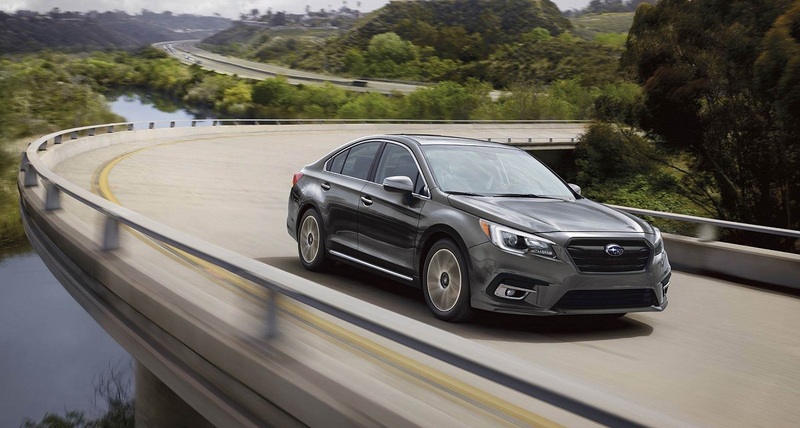 For ensuring a smooth ride on rough or bumpy surfaces, the 2019 Subaru Legacy uses a four-wheel independent suspension, which consists of a MacPherson strut front suspension and a double wishbone rear suspension with stabilizer bars. Electric power-assisted steering is on board for sharp and precise turning and cornering. And four-wheel ventilated disc brakes are on the wheels to significantly shorten stopping distances. The "2.5i" designation stands for a 2.5-liter flat-six-cylinder, or H6, engine with an output of 175 horsepower and 174 lb-ft of torque. And the "3.6R" designation stands for a 3.6-liter H6 that puts out 256 horsepower and 247 lb-ft of torque. Only the Limited gives you the option of choosing between the two; the others are restricted to the 2.5-liter engine. Both engines are harnessed to a continuously variable transmission for a smoother and more fuel-efficient ride due to the lack of gear shifting. For 2019, Subaru made EyeSight®, its driver-assist technology suite, a standard feature on all trims. With a pair of color cameras placed near the rearview mirror, EyeSight® combines functions such as adaptive cruise control, lane keep assist and sway warning, and pre-collision braking and throttle management. Other standard safety features on the new Legacy include vehicle dynamics control, traction control, active torque vectoring, an anti-lock braking system, brake override and assist, LED daytime running lights, a rear vision camera, and a theft-deterrent system. For restraint and cushioning when there is a crash, the Legacy is armed with dual front impact airbags, dual front seat-mounted side-impact airbags, and dual side curtain airbags. The STARLINK™ Safety and Security suite of functions that include automatic collision notification, SOS emergency assistance, stolen vehicle recovery, and roadside assistance appears on the Premium and higher. Blind-spot detection with rear cross-traffic alert is added on the Sport and Limited trims. Ready for a test drive of the 2019 Subaru Legacy near Longmont CO or a short drive from Longmont? Then contact Flatirons Subaru, which is known for serving Longmont Denver Boulder Thornton areas. Located in Boulder, which is a short drive from Longmont, our dealership is known for serving Longmont Denver Boulder Thornton customers with high-quality service. So, contact Flatirons Subaru, which is a short drive from Longmont, today. Once you contact Flatirons Subaru, one of our Subaru experts-well renowned for serving Longmont Denver Boulder Thornton customers with the 2019 Subaru Legacy near Longmont CO-will be around to work with you.